Translation: The King James version is still regarded as one of the most accurate and beautiful of all translations. Narrator: Eric Martin has served the Lord in many capacities, including radio, television and theater. His distinctive British voice has recorded many Bible translations including the NKJV. 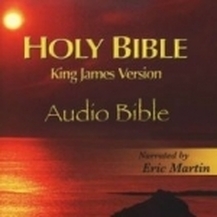 Translation: The King James version is till regarded as one of the most accurate and beautiful of all translations. 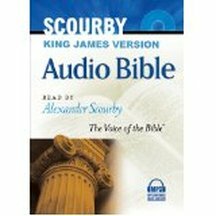 Narrator: This recording by Alexander Scourby has certainly had the most impact on the English speaking world of any audio Bible.Note: Sorry, but I can only sell this one recording to people in the United States. I can’t get permission to sell this one recording worldwide. 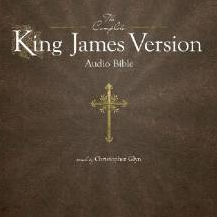 Narrator: British narrator Christopher Glyn draws on 35 years of experience as a Christian narrator and broadcaster to bring you this expressive reading which captures the beauty and power of God’s Word and makes the King James English clear and easy to understand.